This month’s French blog post comes from a week we spent in L’Ardeche region of France a few years ago. The Ardèche is a 125 km long river in south-central France and I had hopes of completing one of my ambitions in life – to white water raft. Unfortunately, we managed to visit the region in one of the driest summers, when the river was very shallow and very gentle. I had to be content with paddling and swimming instead. Still, it was a lovely day and white water rafting remains on my bucket list. Driving around the area, there were lots of points to stop at and admire the beautiful scenery. 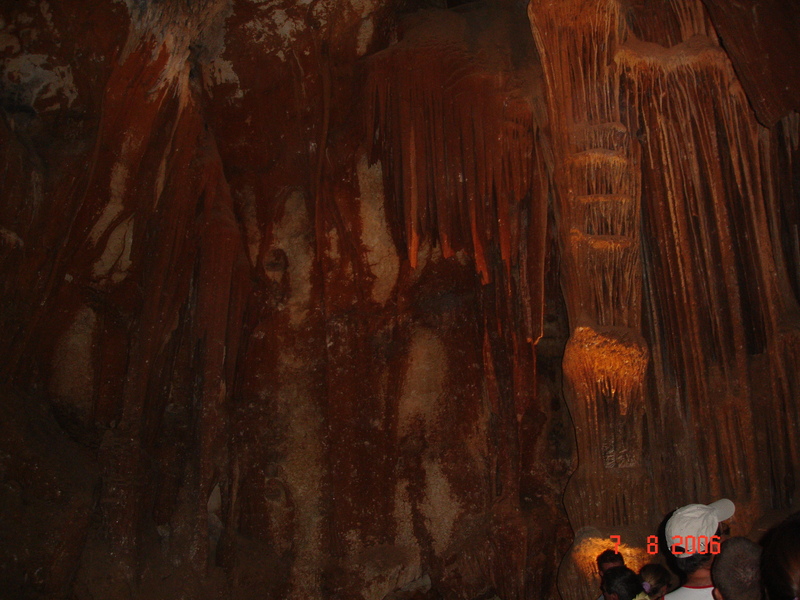 The caves were fascinating to visit. 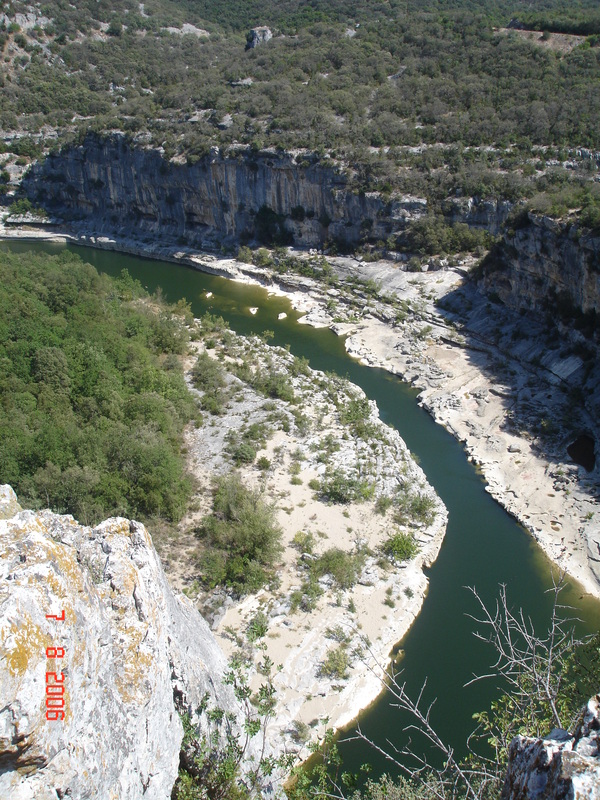 A series of gorges which form a 30k long canyon running from Vallon-Pon-d’Arc to Saint-Martin-d’Ardeche. 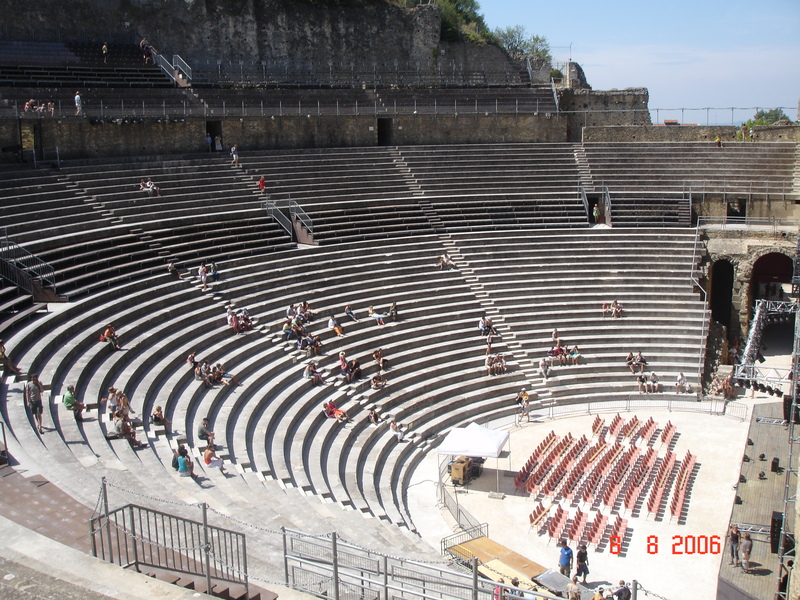 The Ancient Theatre of Orange is one of the best preserved of all the Roman theatres and still hosts many festivals and shows. When we visited, the British Indie rock group, Franz Ferdinand were preparing to play there that night. 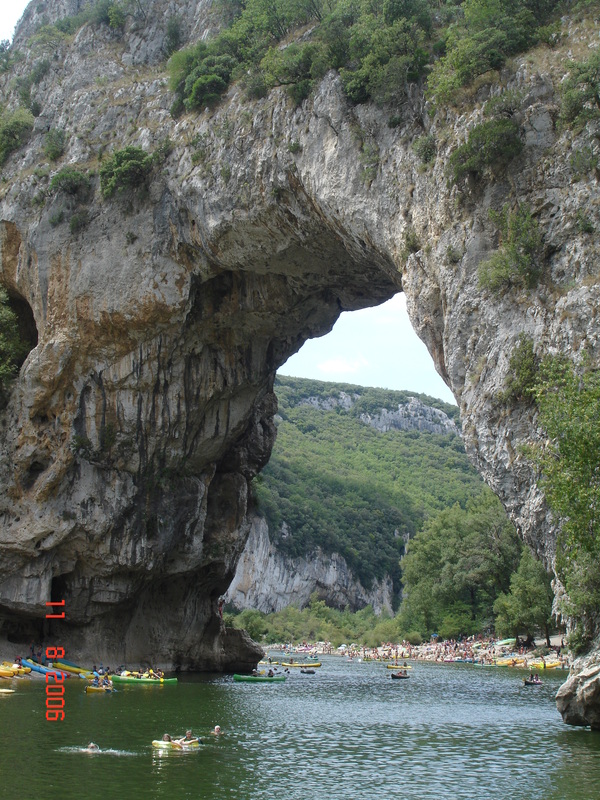 This entry was posted in French Friday and tagged France, Franz_Ferdinand, French, French_Friday, holiday, L'Ardeche, Orange, Pont_d'Arc, Roman on 28/03/2014 by suefortin.